Military kids are my heroes. Through a life not of their choosing, they show us firsthand every day how remarkable they are. We know they're not perfect--they're kids, after all--but military "brats" are a special breed. They tend to be adaptable, worldly, and aware. During my own military kids' growing up years, a PCS move was a time of adventure. A recently emptied base housing unit became the perfect foil for their unique brand of "wall ball." They made fast friends with the other neighborhood milkids when arriving at a new base. Coming into a new community, new church, and new classes meant opportunities for more friends. They also seemed to notice other kids who were new and alone and reached out regularly. But as the years went by, and the moves along with separations from their dad through deployments and training only increased, it became apparent that military life, in spite of our best efforts at staying positive, did indeed take a toll. We were lucky to have a supportive community, along with local resources oriented to military families. The saying "it takes a village" about raising children is never truer than when it comes to military life. 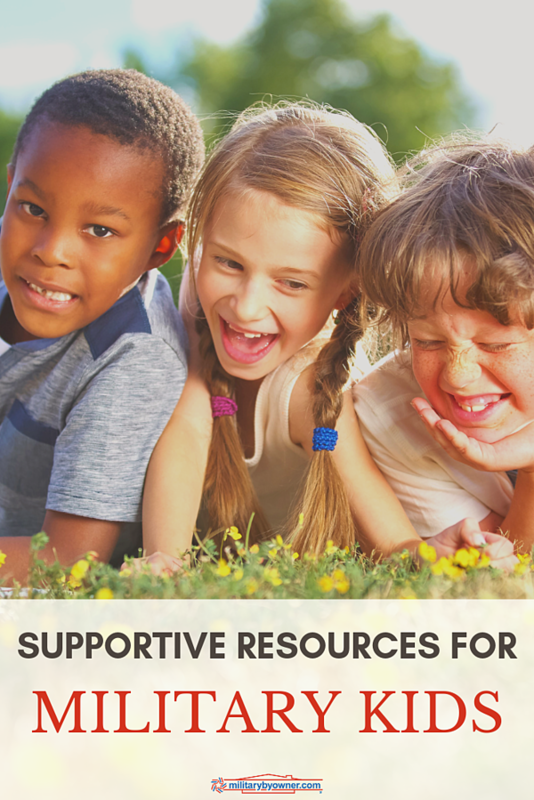 Thankfully, these days there's more support than ever for military kids, so today we're highlighting a few resources. And if you don't see your favorite program or resource here, please let us know about it in the comments, and we may add it to our list! Military Child Education Coalition (MCEC): education support for military kids with a mission of "inclusive, quality educational opportunities for all military-connected children affected by mobility, transition, deployments and family separation." Seasons of My Military Student: website and education resource book for military families of school-aged students and their teachers. Meg Flanagan Education Solutions: military spouse, mom, teacher, and author of the book, Talk to the Teacher, offers numerous resources for military families including a free consult, education coaching, advocacy, and free resources. The Comfort Crew for Military Kids: non-profit providing supportive resources and programs for military kids, including "Comfort Kits." Daddy Dolls: custom comfort items. Not just dads! They include mom, grandparent, and much more. United Through Reading: a non-profit connecting separated military families through story time (parent recorded on video reading aloud a child's favorite book). Check with your command to see if they're already connected with this free program. Youth Sponsorship Program: ease the moving transition through connecting kids with a peer before you even arrive. Administered by school and youth services programs at local installations. Sesame Street for Military Families "Big Moving Adventure"
PCS Kid.com: a secure resource for connecting military kids to friends before, during, and after a military move. Mighty Parenting: podcast and resources from parenting expert and milspouse Judy Davis for parents with kids of all ages. Mil Mom Adventures: info and insight on kid-friendly adventures, encouraging family time to build resilience. Military Kids Connect: created by Military OneSource, an interactional program for kids of all ages, along with resources for military parents. Operation Purple Camp: from the National Military Family Association, a free week of camp for military children to connect with other military kids and receive support. Operation We Are Here: extensive list of resources for military kids and teens. Powerhouse Planning Coloring Pages: scroll down the page for free printable "Military Kid Hero" coloring pages. During April, Month of the Military Child, and always, we can't ever express enough support for our heroes--military kids. Thank you!